Welcome to the CMusic Production SOLO Flugelhorn Library! There is some difference of opinion today, as to the origin of what is now commonly referred to as a flugelhorn. Some say it is in fact, what was originally an infantry saxhorn. 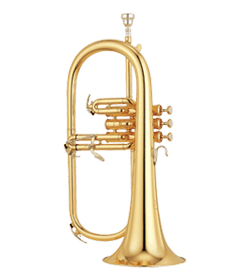 Over the passage of time since its inception – likely circa the mid 1800s – it began to gradually replace the rotary-valved instrument some consider the “true” flugelhorn. Now among the general public it has become the “de facto” if not “de jure” flugelhorn. 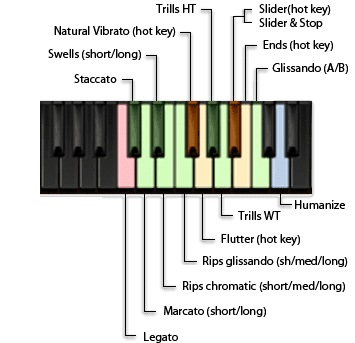 Often associated with jazz compositions, its ability to produce smokey, silky-smooth tones can make the film/game composer’s work of searching for that “right” instrument to create a sensual or laid-back mood for their movie/game scene easy. CMusic Pro’s engineers have captured an ambient sound that is clean and real. Included are six types of convolution reverb with variations of each, that will suitably “embellish” the signal should you so desire. 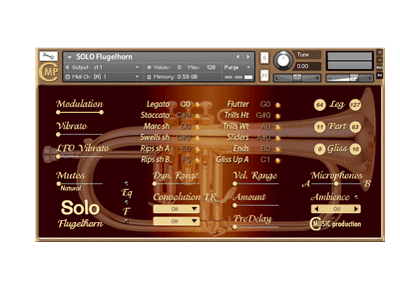 Solo Flugelhorn Library’s straight-forward GUI and functionality is very user-friendly. The generously-sampled library includes many essential articulations that will enable even the “creatively-challenged” to construct believable, realistic-sounding flugelhorn compositions. This is another fine addition for any musician’s toolbox – especially if you are looking to create something with a “smooth vibe”.